This week is Global Atrial Fibrillation Aware Week! 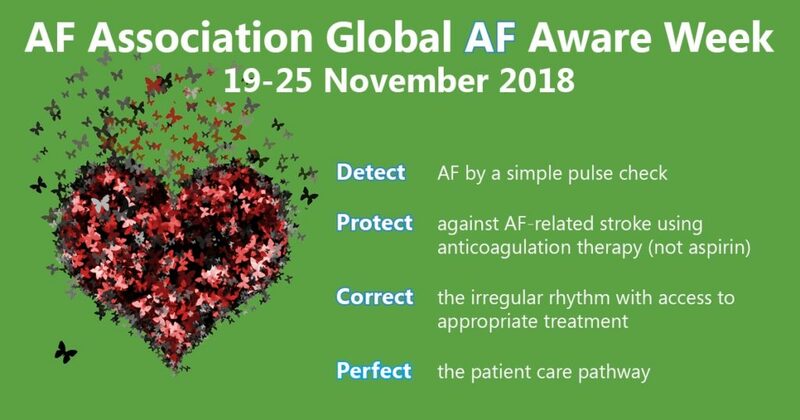 This week, from 19-25 November 2018, is AF Association Global AF Aware Week. Atrial Fibrillation (AF) is the most common arrhythmia (heart rhythm disorder). Over 1.5 million people have been diagnosed with AF in the UK alone, although experts estimate that at least 500,000 people remain undiagnosed. This number is expected to double by 2050. This year, the message is ‘Know Your Pulse to Know Your Heart Rhythm’. Knowing your pulse is the easiest way to detect an arrhythmia, and we all need to help us spread the word. The AF Association is also promoting our Detect, Protect, Correct & Perfect campaign, as per the image above. 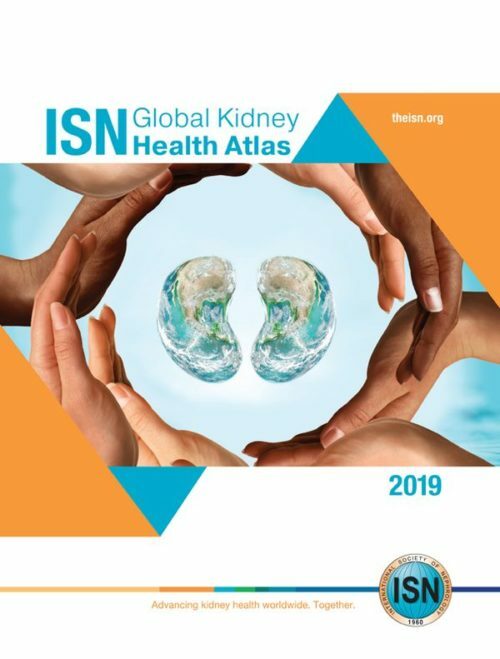 Watch our news article section for ‘White Paper on inequalities and unmet needs in the detection of atrial fibrillation (AF) and use of therapies to prevent AF‐related stroke in Europe’ this coming Wednesday 21 November!